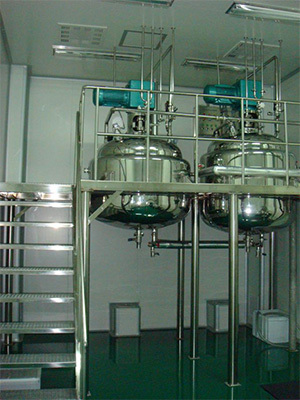 Mixing tank is used for mixing medicine or other fill material, making the material more smooth. The mixing tank is just like the gelatin service tank. Mixing tank is made of stainless steel . But it can be divided two types. One type can keep the temperature of the material and another type can not keep the temperature. Both of them have the function of stirring. But the former has three layers to keep temperature. However, the latter just has one layer, so it can not keep the temperature.